Product #1361 | SKU JB00151 | 0.0 (no ratings yet) Thanks for your rating! 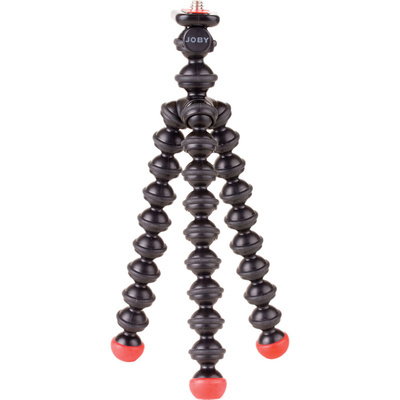 Super-strong magnetic feet let you attach your Gorillapod to any magnetic surface. Intended for compact cameras and mini camcorders weighing up to 11.5 oz (325 g). The slim-line Quick Release clip stays connected to your camera and snaps into the Gorillapod Magnetic for instant setup. Over two dozen leg joints bend and rotate 360°.